I am listing this property for my brother Bart. You can contact him directly, his contact info below, or contact me thru this site, and I will forward your interest to him. Other .5 acre lots and also 1 acre lots are available. Contact us for Multiple Lot Sales Deals. Affordable land for all families to be able to invest in real estate. 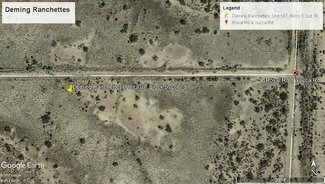 I am offering you a great price of only $525 for a half acre Deming Ranchette. This 1/2 Acre Deming Ranchette has been given a full land value of $1,200 by the Luna County Assessor’s Office. The legal description of the land parcel is: Unit 107, Block 5, Lot 18. The Parcel ID Number is 3034145052188. 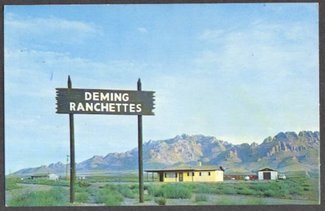 The Deming Ranchettes are a platted subdivision located about 30 minutes southwest of the city of Deming, New Mexico. The pictures we’ve shared here were taken in the Deming Ranchettes Subdivision, but are not of this exact lot. 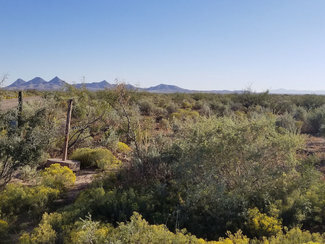 This Ranchette is located on Yucca Road SE, just 4 lots east of Rosal Road, SE. 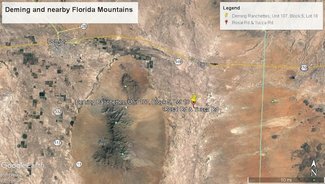 There is about 118 feet of road frontage on Yucca Road SE, and the lot is about 189 feet deep. 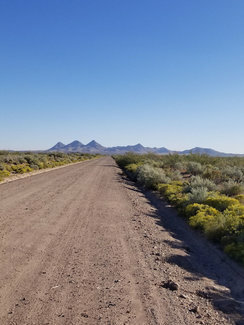 This parcel of land is located just 16 miles east of the Florida Mountain Wilderness Area, 24 miles southeast of the city of Deming, New Mexico, 47 miles southwest of Las Cruces, New Mexico, and 88 miles northwest of El Paso, Texas. Taxes on this parcel of land are only about $15 per year and paid current. Taxes will not be due again until December 10th, 2019. There are no liens on this property. The land will be conveyed to the new owner by a Warranty Deed, the highest form of deed conveyance. 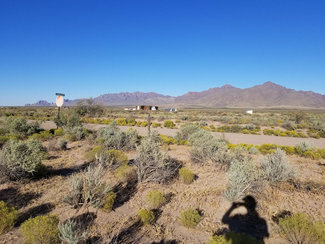 Zoning- This land is buildable with no building restrictions; there is no time limit to build; RV camping is permitted for up to 30 days at a time. Electricity is located at a homestead less than a half mile away, or you could use solar or wind power. Sewer would be by an advanced septic system that you install. My name is Bart Leu and I am a pastor and a school teacher. I also am involved in ministry to International students at the university level. My wife Lori is a grief counselor at a local hospice. Purchasing and selling vacant land is one way that we fund what we believe God has asked us to do in helping others. We have years of experience selling properties in the Western United States. We specialize in acquiring quality low priced properties and selling them at prices that everyone can afford. We believe that all people should have the opportunity to invest in land. We will soon be providing auctions for properties in other places throughout the country as well. Thanks for your interest in this land investment opportunity, and God Bless. This land is sold as is, where is. Please perform all due diligence before purchasing this property. The $525 selling price is the total price you will pay in purchasing this land. Please contact us if you are interested in purchasing this property. We accept payment by Credit/Debit Card, Cashier's Check, Money Order, or Zelle Bank Transfer. We will also need the name and address that you would like to go on the Warranty Deed to your land, and where to mail the Deed once it is recorded. Once we have the Deed prepared and notarized, we will mail you out a copy of it. 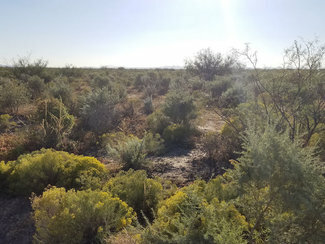 The registered Warranty Deed to this land will be mailed to the you by Luna County about 2-3 weeks after we send it in for recording. Thanks again!